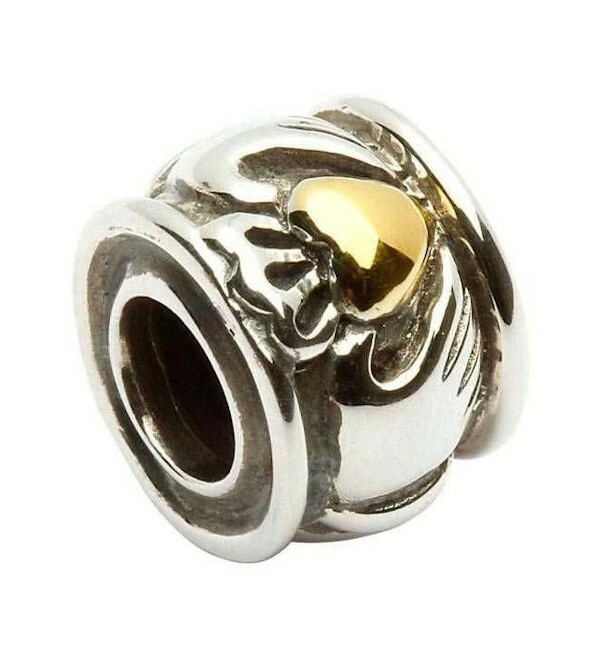 This Round, Silver Claddagh Bead Charm with it's signature Gold Plate Heart is a must-have for anyone who wants a kiss of Ireland in their home. This Round, Silver Claddagh Bead Charm with it's signature Gold Plate Heart is a must-have for anyone who wants a kiss of Ireland in their home. A fine fit for a necklace, bracelet, or other keepsake, this 14 Karat Sterling Silver bead from the Tara's Diary collection is sure to put some glow in the hearts of all who give and receive it.